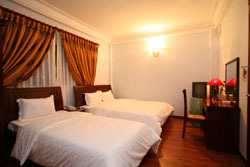 Stay at The Little Hostel Hanoi, enjoy the most comfortable atmosphere and an ambience of elegance. We take you home away from home through the honesty, hospitality and professional in service. 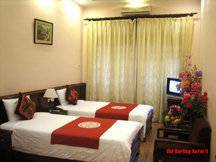 Whether you’re a tourist or here on business, The Little Hostel Hanoi is a truly great place to stay. Our executive location, right in the heart of Hanoi , brings HoanKiemLake seemingly to your doorstep. It is splendidly located on one of the renowned 36 ancient streets, within walking distance to all the main attractions as restaurants, bars, shopping & business centers, sight seeing venues & entertainment. 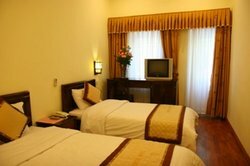 The hotel offers the best convenience to explore the beauty of boutique Hanoi . With 15 spacious luxurious guest rooms, fully renovated with an exquisite mix of antiques and up to date furniture and fixtures, the little hostel hanoi provides the ultimate accommodation and comfort; a magnificent view of Hoan Kiem Lake and stunning city’s life. It allows you to capture fantastic images and also have quiet rest at bed time. 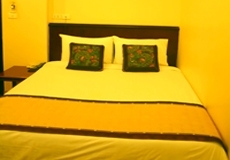 Stay at , enjoy the the little hostel hanoi most comfortable atmosphere and an ambience of elegance. We take you home away from home through the honesty, hospitality and professional in service. Whether you’re a tourist or here on business, the little hostel hanoi is a truly great place to stay. Massage& sauna, fitness centers... are in the completion. The best hospitality: professional, enthusiasm, honesty and well trained staffs. Our mission statement is “best services for the best solution of growth”. The best benefit to the partners: our cooperative policies will bring you the highest interest in order to develop both side’s business situation. The best accommodation: dinning restaurant, well equipped B. C, souvenir shop, luxurious rooms with windows, full of modern facilities and up to date amenities... Massage& sauna, fitness centers... are in the completion. The best hospitality: professional, enthusiasm, honesty and well trained staffs. Our mission statement is “best services for the best solution of growth”. The best benefit to the partners: our cooperative policies will bring you the highest interest in order to develop both side’s business situation. 35 km from airport to the center hanoi old quarter. 30minutes from Noi Bai airport to little hostel hanoi, 10 minutes from train and bus stations to the little hostel hanoi.